Minnie Lee Raynes, age 86 of Jasper, passed away Tuesday, January 22, 2019 at her daughter's home. Minnie Lee was born May 21, 1932 to E. J. and Hattie Moss in Pickens County. 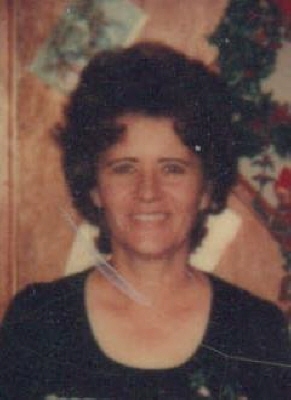 She is survived by her daughter, Joyce Raynes Fowler of Jasper; son, Timothy Raynes of Jasper; grandchildren, Rhonda Bennefield and Ricky Mullinax, Lucas Bennefield, Deanna Raynes, Dustin Raynes, Jessica Estes, James Estes; great-grandchildren, Stevi Hall, Bailey Bennefield, Camron Childers, Riley Wilson; brother and sister-in-law, James and Peggy Moss of Dallas; sisters-in-law, Barbara Moss of Winder, Margie Moss of Jasper, Dorris Raynes of Jasper; and several nieces and nephews. She was preceded in death by her husband, James Raynes. Funeral Services will be held 2:00 p.m., Friday, January 25, 2019 at the Chapel of Roper Funeral Home with Reverend James Thompson officiating. Interment will follow in the Jerusalem Baptist Church Cemetery. The family will be receiving friends at Roper Funeral Home, Wednesday, January 23, 2019 from 5:00 p.m. until 9:00 p.m.; Thursday, January 24, 2019 from 9:00 a.m. until 9:00 p.m.; and Friday, January 25, 2019 from 9:00 a.m. until the funeral hour. To send flowers or a remembrance gift to the family of Minnie Lee Raynes, please visit our Tribute Store. "Email Address" would like to share the life celebration of Minnie Lee Raynes. Click on the "link" to go to share a favorite memory or leave a condolence message for the family.